"I am just asking myself what if I didn’t act, what if upon return, I allowed myself to be swallowed in the midst of my competing priorities as a mother, a wife, an employee, a PhD candidate and failed to take baby steps towards implementing my project? What a precision life touching opportunity I would miss." After spending five weeks in the US in an intensive program for Inclusive Disability Employment, Victoria Melkisedeck Lihiru returned home to Tanzania ready to make changes. She recently shared her successes in an email with some of her new partners. Upon returning to my home country I laid the foundation for execution of my project by sharing the Inclusive Employment experience I obtained from CDCI-University of Vermont with my fellow colleagues (Institutions for Inclusive Development-I4ID Program), the disability umbrella association-SHIVYAWATA, and my former employer through whom I got the opportunity to attend this fellowship-Action for Disability and Development (ADD International). 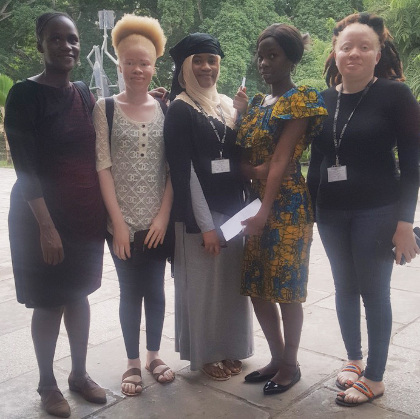 I also met the University of Dar es Salaam-Students with Disability Association who connected me to girls with disabilities. On my first meeting only four girls turned up (June-July is final examination time), among them there was one Finalist (Catherine Justine-living with Albinism-In Tanzania living with albinism attracts humiliation, separation, non-acceptance in employment opportunities and death target for witchcraft purposes). She was pursuing her bachelor’s Degree in Human Resources Management. At that time it just happened that I4ID program advertised an internship opportunity within the Human Resources Department, so, I found the opportunity to put into practice a saying ‘Charity Begins at Home.’ I persuaded our Human Resources Department on why our Program should provide such opportunities to PWDs as our contribution to prepare them for full employment. Luckily, they agreed, and right away I worked with Catherine to determine her career path and if the internship at I4ID would be a good fit. She accepted, and we worked on her CV/application letter, submitted the application, and she was shortlisted. I continued working with Catherine on practicing the possible interview questions, how to answer them and on other key aspects such as confidence, dress code, salary and other accommodations negotiation skills. Catherine attended the interview on 23rd July and afterwards she gave feedback about how positive the interview was, and how the mock interviews worked wonders. On 30th July Catherine received an offer to join the I4ID program. I was excited about how the time I dedicated towards working on my project, has changed life and shaped Catherine’s career path- she just finished university on 20th July, and landed into a paid internship on the same month. I am just asking myself what if I didn’t act, what if upon return, I allowed myself to be swallowed in the midst of my competing priorities as a mother, a wife, an employee, a PhD candidate and failed to take baby steps towards implementing my project? What a precision life touching opportunity I would miss. I thank God I acted. Catherine has now started the paid internship (with insurance and other benefits), and I am continuing to provide her with support on how she can excel as a new employee (Dr Bryan Dague, thanks for that book on 30 ways to shine as a new employee-It is now being put into use). I thank AUCD, HI, and CDCI-University of Vermont, for every knowledge availed to me in May 2018, the knowledge has allowed me to confidently continue shade a spotlight and positively impact on PWDs lives. 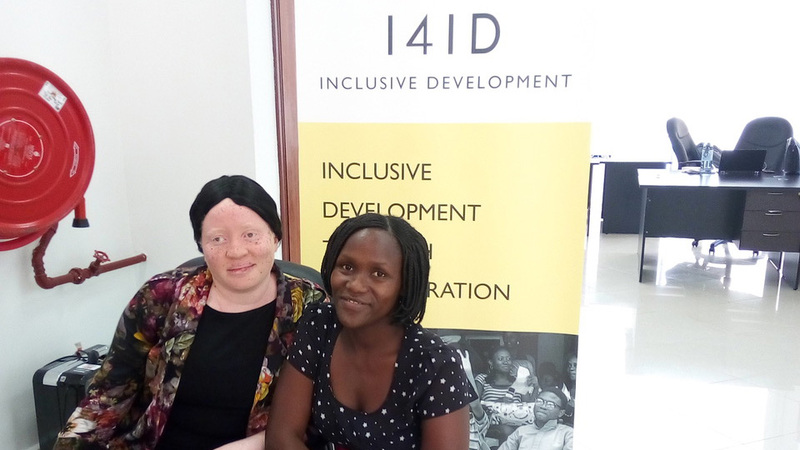 Attached are two photos, one showing me and the girls with disabilities I met at University of Dar es Salaam when I first visited (living with albinism and deaf), and another showing me and Catherine at work (Catherine allowed me to share this story). Congratulations on moving your project forward, Victoria! We can't wait to hear about your next achievement.